The Thai “B” or Business Visa can be extended to a one year visa in country as follows. The extension of the visa is normally based on employment and as such there are certain regulations governing the company who is employing you. Speak to us about a work permit in Thailand and how best to avoid the normal problems with the extension of the business visa in Thailand. 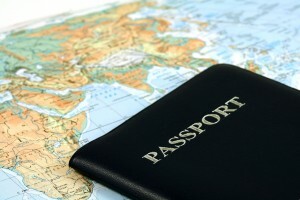 The rules in Thailand with regards to the visa process and also the work permit process does change. 5 years ago to have a work permit issued took 2-3 weeks yet today it now takes less than 5 days to complete the process. Also the cancellation of the work permit and the visa has in recent years become a problem as the Labor Department and Thai Immigration had a different process for the same thing – handing back your work permit. Again check with a lawyer in Thailand about the current process to obtaining and cancelling your work permit. Of special note, if you work or are going to work for a BOI company the process is also not the same and a visa can be issued in less than 2 days. 1. The business must be registered in Thailand. 2. The company must be capitalized to at least Baht 2 Million. 3. The company must have a ration of at least 4 : 1 – Four Thais for every foreigner. 4. You must earn at least in accordance with the level specified for each nationality. 2. Passport or document used in lien of passport and its copies . 3. The applicant’s 4 x 6 cm. photograph . 6. Copies of work permit or receipt of work permit application. 7. Company’s annual balance sheets. 8. The juristic person’s Annual Income Tax Declaration Form (Form No.50) of the latest year. 9. Thai employees Monthly Income Tax Declaration Form (Form No.1 ) of the latest month. 10. The applicant’s Annual Income Tax Declaration Form (Form No.91) of the latest year. 11. The official letter that certify the registration of such juristic person. 12. Business Registration or Business License. 13. Value Added Tax Registration and list of share holders. 14. A map that indicate location of the Company. 15. For those who operate export business, the evidence of export activities are needed. 16. For those who operate tourism business, the evidence clarifying the number of tourist brought in. N.B. In case of necessity , documents No.7 , 8 , 9 , and 10 can be substituted by the company’s letter.